Polyglycolic and polylactic acid are biodegradable, thermoplastic materials that are used in a wide range of applications, particularly in biomedical applications such as medical implant hardware, absorbable sutures, as well as a feedstock material for 3D printers, clothing and food packaging. These materials are in great demand because they degrade through hydrolysis of the ester linkage, and form into glycolic acid and lactic acid, which are natural metabolic byproducts. Since these are naturally occurring compounds, the body easily eliminates them and minimizes the toxicity and other health risks. The two constituent monomers are often combined to fine-tune the degradation rates of the final polymeric products. This co-polymerization yields poly(lactic-co-glycolic acid) or PLGA. The physical properties of the PLGA samples, including solubility and crystallinity, are affected by the ratio of the two monomers. However, these factors can pose challenges when solution-based techniques are used for material characterization. 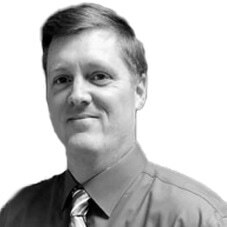 Another way to control the degradation rate is to change the free carboxylic acid end groups to ester groups, because the degradation rate of ester-capped PLGA samples is slower than the acid-capped materials. However, although the shorter degradation times of PLGA samples with the free carboxylic acid group may be required in some cases, the materials themselves are more reactive. Therefore, the end-caps in a PLGA sample can pose another challenge during material characterization. 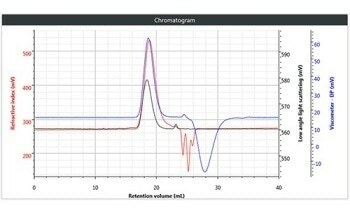 Gel Permeation Chromatography (GPC), or its equivalent, Size-Exclusion Chromatography (SEC), is a technique that is extensively used to characterize a range of macromolecules, from natural polymers and proteins to bulk manufactured materials. This method can be used to determine the molecular weight distribution (Mw/Mn), molecular weight moments (Mw, Mn), hydrodynamic size (RH), and intrinsic viscosity (IV) of these macromolecules. 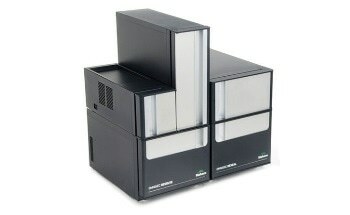 Malvern Panalytical’s OMNISEC, a complete, all-inclusive GPC/SEC system is shown in Figure 1. A brief summary of how GPC/SEC works: a liquid mobile phase carries a solvated sample through an analytical column that is full of porous gel particles. Here, the macromolecular components are separated in a diffusion-controlled fashion, which is eventually viewed by different detectors as each slice of sample elutes. 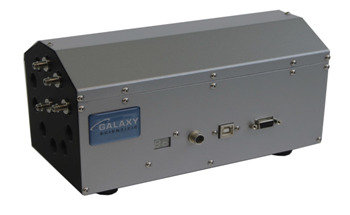 A standard advanced detection GPC/SEC setup includes viscometer, refractive index (RI), and light scattering detectors. In this article, two PLGA samples — one ester-capped and one acid-capped — are examined in two different sets of GPC/SEC analysis conditions. 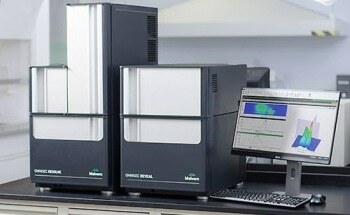 The results obtained are compared and optimal analytical conditions are established for these samples. 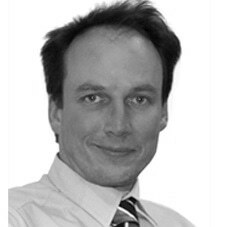 GPC/SEC was used to analyze two commercially available PLGA samples. Sample PLGA-E was ester-capped, and sample PLGA-A was acid-capped. Dichloromethane (DCM) was used to dissolve sample PLGA-E and sample PLGA-A to prepare sample solutions with concentrations of 5.3 and 3.6 mg/mL, respectively. 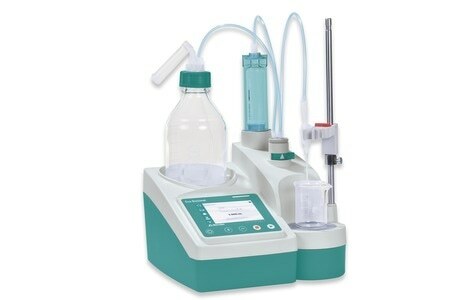 Initial analysis was performed using two T6000M columns with injection volumes of 100 µL and a flow rate of 1 mL/minute. Next, the samples were passed via a 0.2 µm PTFE syringe filter as they were transferred to autosampler vials to await injection. In the following triple detector chromatograms of sample PLGA-E and sample PLGA-A, the viscometer signal is blue, the refractive index signal is red, and the right-angle light scattering signal is green. For such analyses, the hydrodynamic radius of each sample is less than 8 nm which means they are relatively small samples. 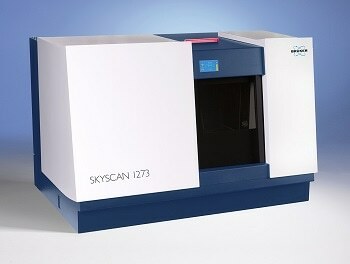 As a result, data from the right-angle light scattering detector is taken into account. 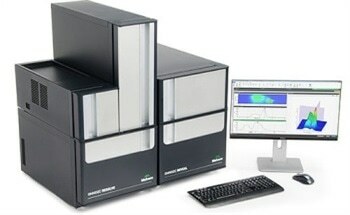 Initial analysis was done in a mobile phase of DCM, as DCM is an established dissolution solvent for PLGA and was employed for sample preparation. Figures 2 and 3 show the triple detector chromatograms of samples PLGA-E and PLGA-A. Interestingly, the most prominent observation of the chromatograms of samples PLGA-E and PLGA-A is that the signal for sample PLGA-A does not resemble a Gaussian peak acquired from good chromatography. One possible explanation for this outcome is that the sample was not actually dissolved and therefore, it was filtered out of solution before injection. Another potential reason is that the sample is adhering to the column, which could be due to the free carboxylic acid end groups present. Moreover, there sample may not be polymeric in the first place and hence no real sample was truly injected. As these samples are commercially available, that last scenario is dubious, but nevertheless should be factored in. Good chromatography was shown by the triple detector chromatogram for sample PLGA-E, but there were some relatively weak signals. 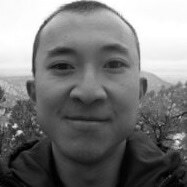 There is only 20 mV of RI data and only about 1 mV of right angle light scattering data. These detector responses are on the low end of the predicted range for a sample at a concentration of about 5 mg/mL. Considering this data, DCM may be an acceptable mobile phase for sample PLGA-E, but DCM is definitely not an ideal mobile phase for sample PLGA-A. In an effort to improve the data for sample PLGA-E and acquire usable data for sample PLGA-A, the mobile phase was changed from DCM to tetrahydrofuran (THF). However, this was not a fully random switch; THF’s refractive index is 1.405, which is comparatively lower than DCM at 1.424. The PLGA sample offers a positive peak, meaning it has a refractive index greater than that of the mobile phase. If a mobile phase with a lower refractive index is used, the magnitude of the difference between the sample and mobile phase would be increased, which, in turn, will give a stronger detector response. Another method to describe this relationship is that the refractive index increment, or dn/dc, of PLGA is higher in THF than it is in DCM. Figures 4 and 5 show the triple detector chromatograms for samples PLGA-E and PLGA-A. It must be remembered that the sample solutions that were injected into a mobile phase of THF for this analysis were the same sample solutions prepared in DCM and examined in a mobile phase of DCM; this article describes only one preparation of each sample. The analytical conditions, including the column set employed, remained identical between analyzes, with the only difference being the switching of mobile phase from DCM to THF. 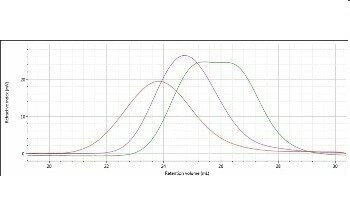 In both chromatograms, a large peak elutes from 23 to 25 mL and goes beyond the vertical range of the figures. This is observed from the DCM eluting in the mobile phase of THF. The dissolution solvent has a high concentration that creates a powerful intense response in all detectors, but given that the dissolution solvent is a small molecule the peak is resolved from that of the sample and does not influence the calculated results. As shown in Figures 4 and 5, when a mobile phase of THF was used, the chromatography and detector responses improved for samples PLGA-E and PLGA-A. With regard to sample PLGA-E, which provided good but not excellent data in a mobile phase of DCM, the peak shapes remained similar in both mobile phases, although there was an increase in the detector signal amplitudes. The right-angle light scattering signal increased from 1.4 mV in DCM to 6.8 mV in THF, and the RI signal increased from 22 mV in a mobile phase of DCM to 84 mV in a mobile phase of THF. This increase in right-angle light scattering and RI signals is due to the increased refractive index difference, or dn/dc value, between the mobile phase and sample. In addition, the variation between the chromatograms of sample PLGA-A in a mobile phase of THF and a mobile phase of DCM was much more significant. In a mobile phase of DCM, sample PLGA-A did not elute from the column properly for several possible reasons that were mentioned earlier: sample sticking to the column, incomplete dissolution, or sample is not present at all. In a mobile phase of THF, analysis of sample PLGA-A provided evidence that eliminated two of those possibilities. As shown in Figure 5, a sample is clearly present and it is more than adequately soluble. The right-angle light scattering and RI signals increased from nothing to 2.4 mV and 68 mV, respectively. In the case of sample PLGA-A, the mobile phase of THF provided two benefits; 1) it helped sample PLGA-A to elute from the column set properly and 2) it offers a higher dn/dc value, and hence stronger light scattering and RI detector responses. A visual summary of the two analyses of samples PLGAE and PLGA-A is shown in Figures 6 and 7. Figure 6 displays the RI signals for sample PLGA-A and sample PLGA-E in both mobile phases, while Figure 7 displays the right angle light scattering signal for sample PLGA-A and sample PLGA-E in both mobile phases. There was a significant improvement in detector response for each sample; both detector signals for sample PLGA-E in a mobile phase of THF are about four times that of the respective signal in a mobile phase of DCM. Sample PLGA-A, which was not observed in a mobile phase of DCM, produces strong detector responses in a mobile phase of THF. Again, the mobile phase is the single factor that contributed to this stark improvement in data between the two analyzes for a given sample. The molecular characterization data for sample PLGA-A and sample PLGA-E in mobile phases of THF and DCM is shown in Table 1. It must be remembered that although the detector response was not as strong in a mobile phase of DCM, the molecular data measured for sample PLGA-E is similar to that achieved in a mobile phase of THF. This is mainly attributed to the sensitivity of the OMNISEC system, which is capable of measuring low molecular weight materials with low dn/dc values. No data was measured for sample PLGA-A in a mobile phase of DCM. Table 1. Molecular characterization data for samples PLGA-E and PLGA-A in mobile phases of DCM and THF; Mz, Mw, Mn in Da. One reason why sample PLGA-A elutes in a mobile phase of THF but not in a mobile phase of DCM may be due to the reactivity of the carboxylic acid end groups present. Irrespective of mobile phase, sample PLGA-E, with ester end groups, eluted in a regular manner; however, the presence of more reactive carboxylic acid end groups may have caused sample PLGA-A to stick to the column set. Since THF is a hydrogen bond acceptor, switching the mobile phase to THF could have improved the chromatography. The labile proton is the reactive part of the carboxylic acid end group and which is available to take part in hydrogen bonds. In the case of a mobile phase of DCM, which is not a hydrogen bond acceptor, this reactive part of the molecule can freely interact with the stationary phase of the column set. However, in a mobile phase of THF, the mobile phase molecules may form hydrogen bonds with the free carboxylic acid end groups, thus reducing their reactivity and “shielding” them from possible interactions with the column set. Hence, apart from providing a higher dn/dc value for PLGA samples, THF in this case acts as a better mobile phase for both ester- and acid-capped PLGA samples. 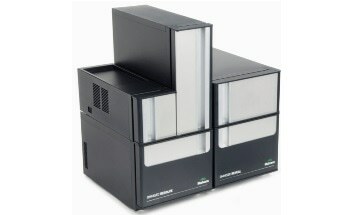 The OMNISEC Triple Detection GPC/SEC System from Malvern Panalytical provides excellent chromatography data for the analysis of both ester- and acid-capped PLGA samples. 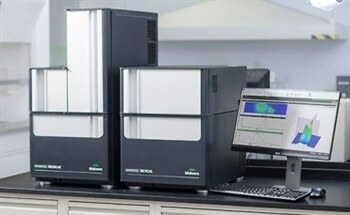 The analysis of the both kinds of PLGA samples was shown in mobile phases of THF and DCM. Although DCM was employed as a dissolution solvent, THF was found to be the optimal mobile phase for the analysis of the PLGA samples for two reasons; 1) the dn/dc value of PLGA in THF is greater than that in DCM, and 2) a mobile phase of THF can elute both acid- and ester-capped PLGA samples from the column set, possibly by forming hydrogen bond pairs with the reactive end groups in the acid-capped PLGA samples. It must be remembered that the analysis conditions demonstrated in this article might not be applicable to all PLGA samples. Typically, PLGA and related poly(glycolic acid) and poly(lactic acid) samples have low dn/dc values, and hence the light scattering sensitivity of the OMNISEC system is needed to achieve reliable data. When different PLGA or similar samples are used, the experiments described here should act as a guide to establish the most suitable run parameters for the OMNISEC system for each unique sample. Given that the composition and molecular weight of PLGA samples control the physical properties of the end products, accurate measurement of these parameters is important for manufacturers and researchers. Such accurate measurements depend on the quality of the method, including specific analytical conditions, such as mobile phase, and system hardware. Armed with these tools and knowledge, Researchers can better control the molecular properties that are required for producing application-specific materials that depend on food packaging, biomedical situations, 3D printing, clothing and other areas of life. For more information on this source, please visit Malvern Panalytical.